"" Backtest Result maybe be different from real because in real we have news filter to avoid from unwanted market movement. in backtesting news filter dos not work ""
Money Monster is a self-learning that learned with Random Forest algorithm and using Tree Decision module to open an order. for backtesting, to increase the test speed, please turn off the all graphic panel in the input parameter. TO use NEWS FILTER you need to open the menu item "Tools" - "Settings" - "Expert Advisors" in the terminal, tick "Allow WebRequest for the following URL:" and add the following address: "http://ec.forexprostools.com/"
пишу отзыв о данном советнике... Советник совершенно не предназначен для торговли, хотя автор и говорить что там не применяется стратегия сетки и мартингейла это чушь... советник открывает позицию по индикатору направления движения рынка и если позиция пошли не в ту сторону он доливает ее, в ИТОГЕ СЛИВ ДЕПОЗИТА, БУДЬТЕ ОСТОРОЖНЫ!!!!!!!!! I write a review about this EA... Advisor is not intended for trading, although the author and say that there is not applied grid strategy and martingale is nonsense... Advisor opens a position on the indicator of the direction of movement of the market and if the position went in the wrong direction, he refills it, eventually DRAINING the DEPOSIT, BE CAREFUL!!!!!!!!! Too soon to be conclusive, but in 2 days it is 0-5. Will update at the end of the week. 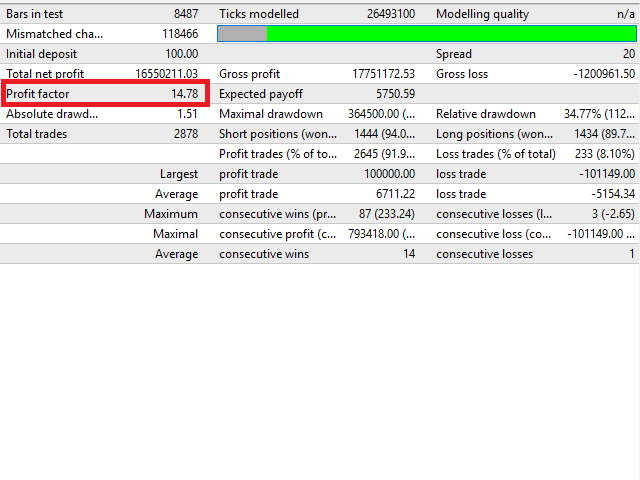 In backtest max consecutive loss was 1. 20April19 Update. The new version is out, but the results are worse. Now has 13 positions open on 3 pairs, all in big loss but two, the last of the grids. Balance is down 13% after 1 week with risk set at 1%. EA very good in my opinion, I leave 4 stars. I will return hopefully with 5 stars at the end of the month. No se si será el mejor ea del mercado, lo que si se es que el esfuerzo del autor por mejorar es grande.